Are we the type of people who take birthday portraits* of our dog? Evidently. Lucy Rocket was born in Hong Kong but joined our family in Macau and then moved with us to China. Every single night when we're laying in bed reading while Lu snuggles between us, I turn to Michael and say, "Thank you for this dog." We only got her because of Nathan. Our oldest son can be quite socially and physically awkward, anxious and tense, yet when you put an animal of any kind in his arms, every muscle in his body relaxes and he becomes suddenly graceful. Living abroad doesn't make it easy to have a pet with a lifespan longer than a goldfish, so despite repeated requests for something with fur, I consistently said no. But one night we were watching movies at a friend's house, killing time during a typhoon, and Nathan was communing with our friend's cats for hours. Completely zoned out, just watching the kitties. None of the tweenage tension he normally carries could be found. It made me wish he had a pet of his own. And then later that week, Nathan sighed and said, "Mom, I never imagined that not having a dog would be part of my childhood memories." This was like a knife to my heart. Of course, Michael and I chose this nomadic life, our children are just along for the ride until they are old enough to leave home and make their own choices. It felt horrible to deprive them of something which children who aren't forced to constantly relocate can enjoy. Plus, there are so many lessons in life that can be taught through caring for a helpless creature which depends on you (responsibility, selflessness, sacrifice, time management, the list goes on...). So Michael and I had many late night discussions and began a tentative search of appropriate breeds for people with allergies. 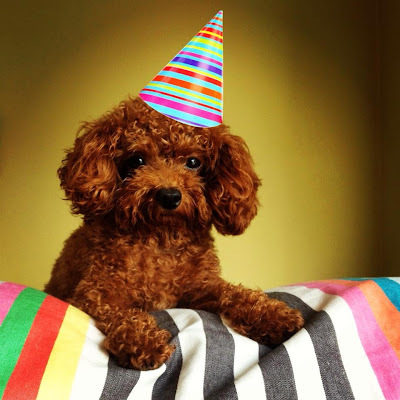 Poodles, and other curly-haired dogs, were the best choices, as unlike many straight-haired dogs, their hair grows until you cut it, with almost zero shedding. We also had planned to be in Macau for 3-5 years, so it seemed like the most appropriate chance we'd ever have to add a pet to the family. 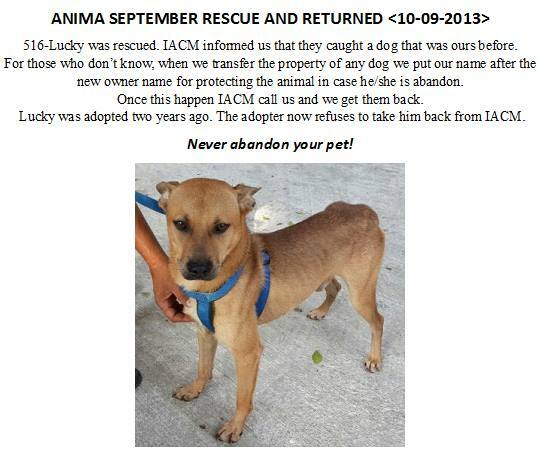 We searched for quite some time, but when we found Lucy, we knew she was the right dog for us immediately. Of course, like Woody Allen said, if you want to make God laugh, tell him your plans. The 3-5 years we'd planned to be in Macau ended up being a whopping fifteen months, and we were faced with an added complication of moving from one country to another, the crazy paperwork, quarantines, and costs that comes with bringing an animal across borders. Michael had a job offer in Melbourne, Australia. If we didn't have a dog, we'd probably be there right now, getting ready to welcome summer instead of saying goodbye to it. The quarantine for animals in Australia is six months in a government kennel, the cost of which is carried by the pet owner. Considering Lucy was only six months old at the time, the thought of leaving her for six months was almost unbearable. And the cost was crazy. Luckily, Michael also had three other solid and interesting job opportunities in three other countries with more reasonable quarantines for animals. In the end, Shanghai won, which was good news for Lucy. Technically, both Shanghai and Beijing have 30 day quarantines, seven days in a government facility with the remainder in your own home if the pet is deemed healthy. However, like everything in China, there are ways around that. The quarantine is only enforced if Shanghai or Beijing are the port of entry for animals. Since Macau shares a border with China, we simply hired a pet relocation company who picked Lucy up in the morning, crossed the border with her into Zhuhai, and then flew with her to Shanghai, delivering her to our Shanghai doorstep in the afternoon. The cost for this service was exorbitant, five times what Lucy cost to begin with. We could have done it ourselves, but China has several different types of visas, and the visa we were traveling into China with might have been compromised had we ourselves used any other port of entry than Shanghai (and we didn't want to delay Michael's employment while we sat in limbo in another nearby country waiting for new visas). And then the visa kept us grounded in China for 30 days, our passports taken for processing for most of that time, so it's not like we could have just flown back to Macau to retrieve her after a week while she stayed at a friend's place. It's complicated, and if you really want to know all the details, email me. One terribly sad thing I've seen among the expat community both in Macau and here in Shanghai are people who adopt a pet during their stay abroad who then abandon their pets when it's time to go home. It can be very, very expensive to move a pet across borders, even for countries with less restrictions than Australia. Although Lucy has been the absolute best thing for our family, and having a pet might be the best thing for yours as well, I just want to put it out there for the expats who read this that when you consider the upfront costs of adopting an animal and the cost of food and medical care, also do your research on an exit plan. Without knowing the details, you might get down to the last month of your stay abroad and realize you simply don't have the funds to bring Fluffy or Fido home and run out of time to find him a new family. Animal rescue organizations in both Macau and Shanghai report that early summer finds them overflowing with dogs who have been obviously well cared for, well trained, and yet abandoned, right at the most common time for expats to move as the school year wraps up. I know plenty of expats who have repatriated and found wonderful new homes for their adopted-abroad animals, and there's no fault in that. In fact, if you are an expat and you're interested in getting a pet of your own, adopting a pet from someone repatriating can be a great plan! Just please, please, please remember to also plan in advance for the possible day when you'll need to move. 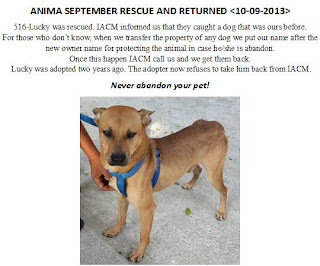 Don't simply abandon an animal. We're already socking away the cash to transport Lucy to wherever our next home might be. This dog is firmly entrenched in our little family so we'll do whatever it takes to take her with us. *Believe it or not, we didn't actually take Lucy in for a "portrait" here, it was just the perfect afternoon sunshine bouncing off a nearby building right into my bedroom. This was taken with my iPhone and then posted on Instagram. So I guess we're not really people who take our pet in for fancy portraits, we just devote a lot of space on our devices to this fluff ball!